A common reaction when users experience the ArcGIS Python API for the first time is they think it’s the return of Avenue, ArcPlot or AML for the modern [Web] GIS world. That is not far from the truth. For millennials out there wondering what I’m talking about, these were the much loved scripting languages for Esri’s ARC/INFO and ArcView GIS systems back in the day which provided the first introduction to programming for many of our users. What can the ArcGIS Python API do for me? 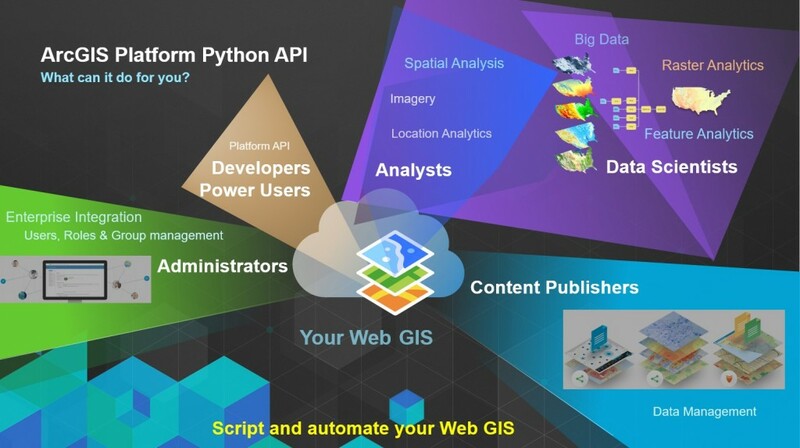 The ArcGIS Python API is a powerful, modern and easy to use Pythonic API for GIS professionals, developers, org administrators, content publishers and anyone with access to a Web GIS (which could be an ArcGIS Online organization or an ArcGIS Server fronted with a Portal for ArcGIS) to leverage the Python ecosystem and automate their workflows using scripts. The API integrates well with the Jupyter Notebook and the SciPy stack, enabling academics, data scientists and GIS analysts to share programs and reproducible research with others. The API lets users perform GIS visualization and analysis, spatial data/content management as well as organization administration, using both an interactive console, as well as scripts in a batch processing environment. We’re very excited to announce that the Beta for this API is now available and welcome you to take it for a test drive! The API has a modular design that makes it simple to use and understand. These modules contain classes, functions, and types for managing and working with the different elements of the GIS. The gis module provides an information model for GIS hosted within ArcGIS Online or Portal for ArcGIS. This module includes functionality for managing (creating, reading, updating and deleting) GIS users, groups and content. 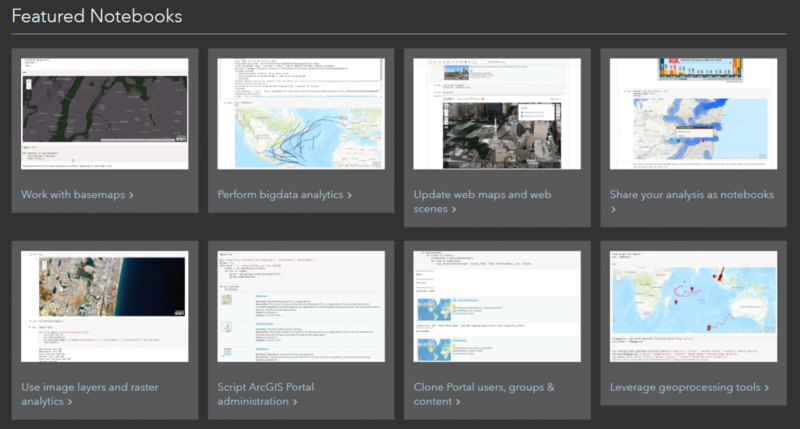 The viz module offers components for managing web maps and web scenes for visualizing GIS data and analysis. 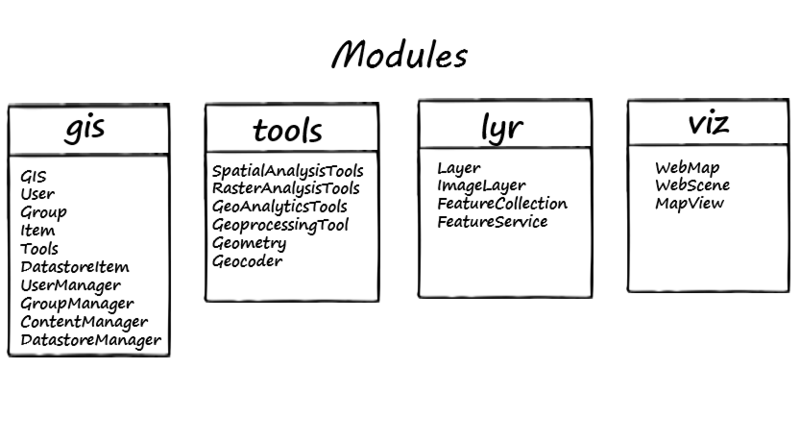 The tools module is used for consuming GIS functionality exposed from ArcGIS Online or Portal for ArcGIS web services, and the lyr module provides ways to access and use web layers. Pretty simple, right? We think of it as ‘GIS made easy’. The API is available at developers.arcgis.com/python, complete with guides, samples and API reference. 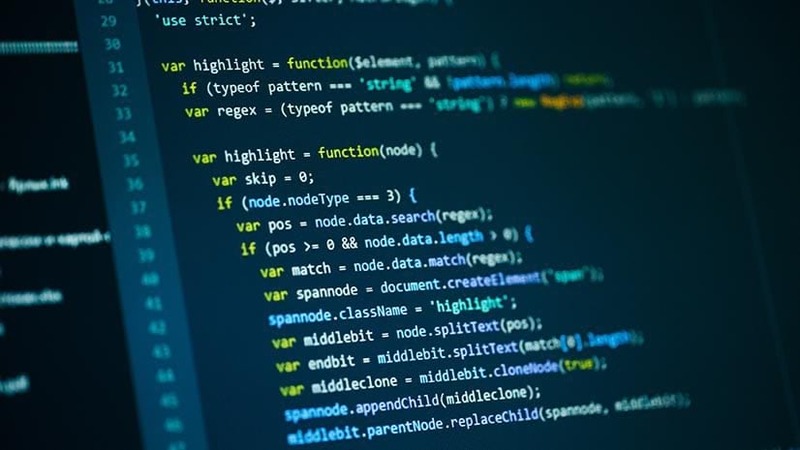 Documentation and samples are presented in the form of interactive notebooks, that show usage of the API along with its output using rich media and detailed explanations. Samples are categorized by the user profile they are most relevant to – there are samples for ArcGIS power users and developers, org administrators, GIS analysts and data scientists, as well as content publishers. You can browse the samples online or download and play with them interactively on your computer. The Python package for the API is delivered using conda. This makes it easy for developers to install and get started with the API right away. 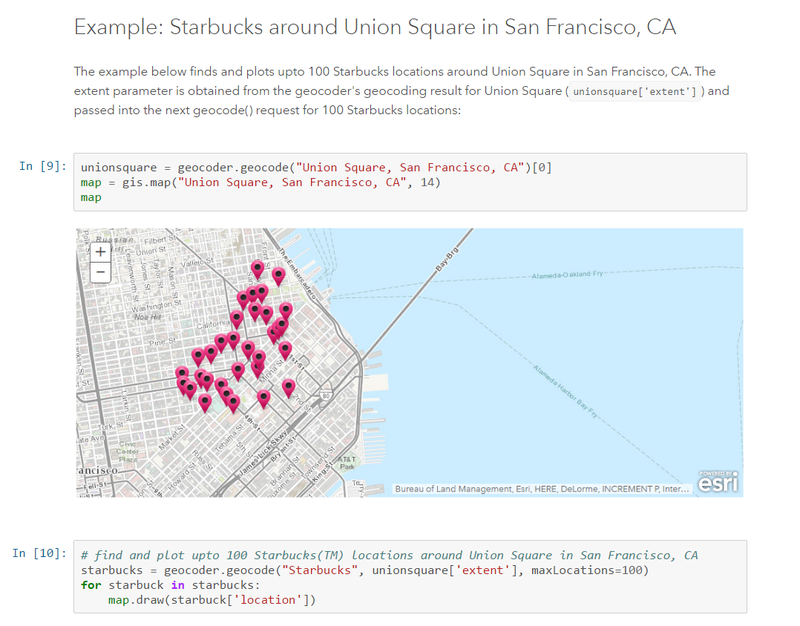 In addition to the API reference, the ArcGIS Python API includes rich, interactive documentation in the form of Jupyter notebooks. The benefit of having documentation in the form of notebooks is that they contain sample code along with its output. You can download and run these notebooks on your own computer as well, wherein you can edit the code and see the results right away. Excited? Curious? Enthused? Join the Beta, test drive the API, and meet members of the ArcGIS Python API team at the UC to share your feedback, ask questions or just hang out with us. The team will be available at the Server GIS pavilion, during the Esri User Conference in San Diego, CA (June 27- July 1, 2016).